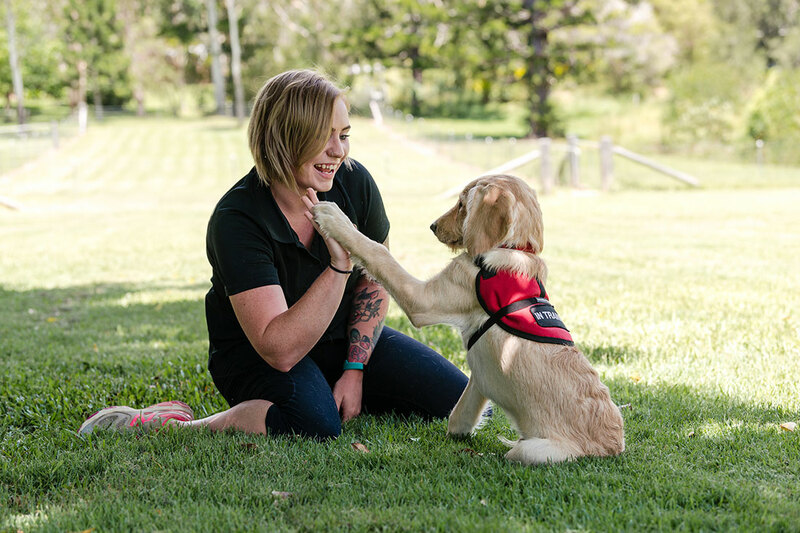 Train your own dog or a new puppy to be a Certified Assistance Dog. Smart Pups can train your current dog or new puppy to be a Certified Assistance Dog with full public access. It does mean you do a lot of the work! But under the expert guidance from our qualified professional trainers, we can help you to be able to have the support of your own assistance dog to support you and give you better independence and inclusion to the community. Smart Pups will give you full ongoing support. Of course not all dogs are suitable for this type of work and we will assess your dog or pup before we agree to proceed. We also need to assess what type of tasks the dog can perform to help the individual with their independence. Smart Pups are only able to train a very limited amount of “Train your own dog” as an Assistance Dog. Please be aware that to have a Certified Public Access Dog you must have a diagnosed disability that an Assistance Dog can be trained to do specific tasks to assist this person. The trained tasks must be able to assist that person to live a more independent life and to help that person to be able to be more inclusive in the community. We have also found that some breeds of dog are less likely to be able to cope with the demands of an Assistance Dog. We have found the most successful breeds are Labradors, Golden Retrievers and some Labradoodles. Due to our limited resources we may not be able to accept some breeds. If no, what is the time frame for receiving your puppy/dog? A secure fenced yard must be provided for the health and safety of the service dog.